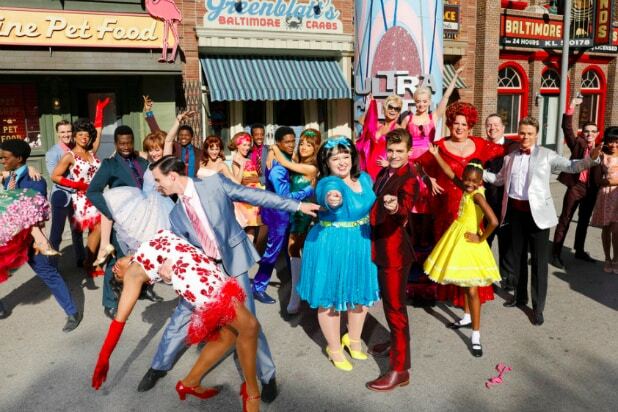 “Hairspray Live” debuted last night on NBC to mixed reviews. What’s being set in stone this morning, however, is the live musical’s TV ratings, which you can also kind of look at one of two ways. Per Nielsen’s early overnight numbers, the annual event earned a 5.9 rating/10 share in household results from the 56 metered markets. The Wednesday special posted a 2.6/9 rating in adults 18-49 in the 25 markets with local people meters. Those fairly big numbers mean the musical beat “Empire” (and everything else) head-to-head per both metrics. It also delivered the broadcaster’s highest-rated in-season, in-demo Wednesday – excluding the Olympics — in four years. But that doesn’t mean the champagne is flowing freely into mimosas at NBC breakfasts across the country. After all, last year’s “The Wiz” (on a Thursday, and so not in competition with Fox’s hit hip-hop soap) averaged a much-better 7.9 in metered-market households and a 4.4 among 18-49 in the local people meters. Crunching some numbers, that means “Hairspray Live” dropped 25 percent from its predecessor in households, and 40 percent in the main demo. These very preliminary numbers are subject to some adjustments, but not enough to reverse the double-digit downward trend. Final ratings will be out later today. Much like the Harvey Fierstein-written show, let’s end this post on a high note, shall we? “Hairspray” did top “The Wiz Live” in one ratings category: female teens tuned in to the tune of 2 percent more this time around. So there’s that.